A switch is a device that is considered as the central point of connection for computers and other devices in a local network. This allows data to be shared at full transmission speeds. A data switch connects computing devices to host computers. 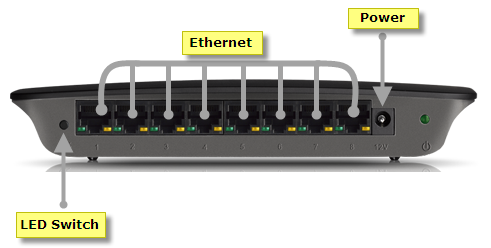 If you encounter problems while networking computers through the switch, the first thing that you can do is to check the physical connection of the Ethernet cable to the switch and the computers. You can also check the LEDs that indicate connectivity on the switch. A switch does not have DHCP capability. DHCP is usually performed by a router. Computers connected to a switch without a router will not be able to communicate with each other unless you assign a static IP to the computer or the network device connected to it. The computers should be in the same LAN IP segment in order for them to communicate within the same local network. To learn how to check the computers’ IP addresses, click here. 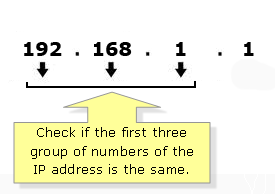 NOTE: To determine if the computers are on the same IP segment, check if the first three (3) groups of numbers of their IP address are the same. When computers are on the same IP segment, it means that the computers belong to the same network. But since the switch does not have the capability to assign IP addresses, the computers connected to it will not be able to communicate with each other. They will get an Automatic Private IP Address (APIPA). You need to assign a static IP address to your computers. Click here for instructions. NOTE: If your switch is connected to a router, you don’t need to perform step mentioned above. Firewalls can prevent the computers from communicating with each other. To learn how to disable the Windows Firewall, click here. Once the firewall is disabled, your computers should be able to communicate with each other and enable File and Printer sharing. If you are still unable to network the computers, you need to configure File and Printer sharing. File and Printer sharing allows computers on a local network to access resources on other computers. NOTE: To learn how to configure File and Printer Sharing on a Windows computer, click here. On some switches, the Uplink ports are shared with a regular port next to them. This means that if the Uplink port is occupied, the port next to it should not be used. NOTE: The EZXS55W is used in this example. 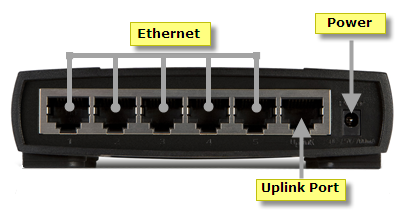 If you connect a router or an additional switch to the Uplink port, you cannot use the numbered port next to it which is Port 5. The two (2) ports are wired together so they cannot be used simultaneously. The location of the Uplink port may vary depending on the device that you are using. Some switches such as SE2800, SE2500, and SE1500 have auto MDI/MDI-X cable detection capabilities, which eliminate the use of the Uplink port. NOTE: The SE2800 is used as an example. When you’ve performed all the possible workarounds mentioned above but the problem still persists, visit the Linksys Support Site for additional assistance regarding such issue.